Thorold Dickinson's film The Queen of Spades opens nationwide on Boxing Day with a special introduction by acclaimed director Martin Scorsese. The special digital re-issue of the classic supernatural drama, which has not been seen in British cinemas since its original release in 1949, will open on Boxing Day at key London sites as well as regional art-houses across the country. The film will also be available in 2010 on DVD for the first time (alongside Dickinson classics: Secret People & High Command). Dickinson was a respected figure of British cinema from the late 1930s up to the 1950s and helped to found UCL's groundbreaking film department at the Slade School, where he became Britain's first Professor of Film Studies in 1967. Oscar-winning director Martin Scorsese, one of the film's most vociferous supporters, will provide a brief introduction before each screening. Professor Philip Horne and Dr Peter Swaab (UCL English) who co-authored the book Thorold Dickinson: A World of Film will also present the film at a selection of the screenings in London. Set in 1806 Imperial Russia, the film sees St Petersburg in the grip of gambling fever. No card strikes more fear in to the hearts of the soldiers than the evil Queen of Spades. Captain Herman Suvorin (Anton Walbrook) is a lowly German engineer: an outsider obsessed with making his fortune whose peculiar manner isolates him from the revelries of the other bawdy soldiers. He is intrigued, though, by soldiers' gossip that tells of the legend of an ancient countess (Dame Edith Evans), who supposedly sold her soul to the devil years before in exchange for the secret of success at the card game de jour: Faro. The Queen of Spades was made at a small studio in Welwyn Garden City and is based on the short story by Alexander Pushkin. The film boasts memorable performances from Anton Walbrook (The Red Shoes) as the soldier driven insane by his lust for success and fortune and Dame Edith Evans (The Importance of Being Earnest, Tom Jones, Scrooge) as the bitter and twisted old countess who gave away her soul for a short-lived salvation. For further information about screening times please check with your local venue. 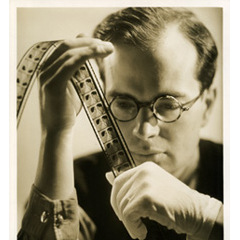 Thorold Dickinson (1903-1984), established the first full university film studies course at the Slade School of Fine Art. Dickinson was a respected figure of British cinema from the late 1930s up to the 1950s, but in an extraordinary second career he helped to found UCL's film department at the Slade School 1967 becoming Britain's first Professor of Film Studies. One of Dickinson's biggest fans is writer and director Martin Scorsese, who sees an un-British flair in his films, with their "strong sense of sexuality and desire, of warring passions and impulses within people, of love turning bad". In an interview with Professor Horne, Scorsese said: "Dickinson's never afraid to push the emotion in a scene, and that's rare in British filmmaking."